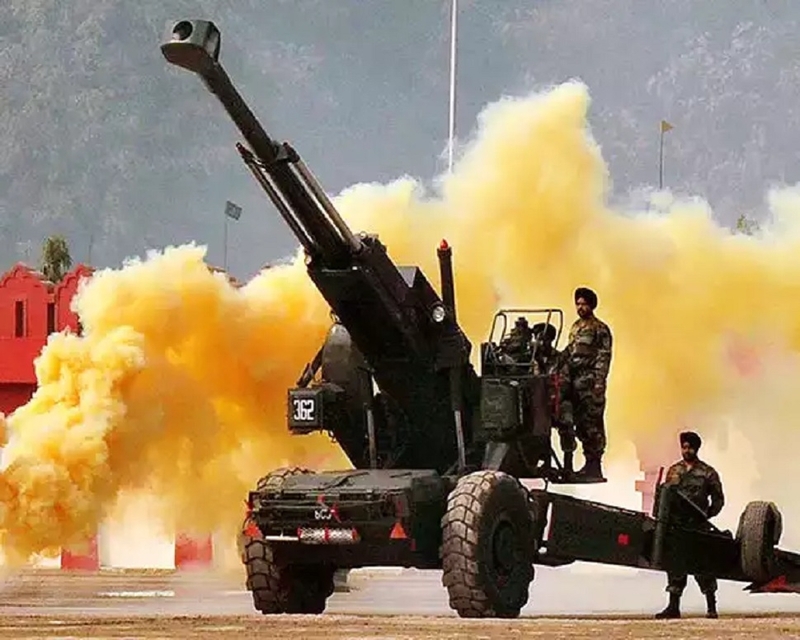 DIRECTOR General of Ordnance Factories (DGOF) and Chairman, Ordnance Factory Board (OFB) Saurabh Kumar will hand over the first batch of ‘Dhanush’ gun to Central Ordnance Depot (COD), Jabalpur, on Monday. Chief guest on the occasion will be Secretary (Defence Production) Dr Ajay Kumar. A formal function has been organised in Gun Carriage Factory (GCF), Jabalpur, on Monday where Dr Ajay Kumar, IAS, Secretary (Defence Production) will be the chief guest. Saurabh Kumar , IOFS, DGOF and OFB Chairman, will flag off the first batch of 6 Dhanush guns from GCF, Jabalpur, to the Indian Army (COD). On February 18, 2019, OFB received clearance for the bulk production of manufacturing of 114 guns. Now, GCF is ready with 6 Dhanush guns to hand over to the Indian Army. The occasion will be graced by senior dignitaries from Armed Forces including Lieutenant General P K Shrivastava, PVSM, AVSM, VSM, DG Artillery and Col Commandant, Lieutenant General R S Salaria, VSM, Commandant, SOA, Major General Manmeet Singh, MG Army Headquarters Western Command, Controller CQA (W), Commandant JOD, WDET Programme Coordinator and his team. From Ordnance Factory Board (OFB), Hari Mohan, IOFS member OFB, DDG/W and Secretary, Ordnance Factory Board will be present. Senior General Managers and General Managers of sister Ordnance Factories and ex-DGOF and senior GMs of GCF, CFA(Fys), VFJ will also be present on the occasion. The 155mm x 45 Cal FH Gun ‘Dhanush’ is a new generation towed artillery gun with major upgraded features over the existing 155/39 cal. FH 77 B02 Gun. Indigenisation to the extent of approximately 81 pc has already been achieved. By the end of 2019, the indigenisation level will go upto 91 per cent.